The Huawei B315 is a new LTE router available in Germany since summer 2015. The device has a wide range of functions and has a modern equipment with Gigabit LAN, fast wireless, telephone and of course a good cellular modem. With a comparative price without contract, the Huawei B315 is also relatively cheap to have. The Huawei B315 is packed in a simple cardboard box and is available in either black or white color. In addition to the router, a power supply with a 1.5 m long connecting cable and a short Ethernet cable (about 0.5 m) is included, and there is of course a printed quick-start guide. If you look at the router in more detail on, it is noticeable that it is trapezoidal in shape: Below the router is a bit thicker and thus has a secure stand on level ground, on the above the width narrows rapidly. All antennas were installed inside, thus there are no ugly antenna stub. On the front, Huawei has installed five LED indicators for the operational status. In addition, a small and discreet manufacturer logo adorns the front. All major ports are placed on the back. 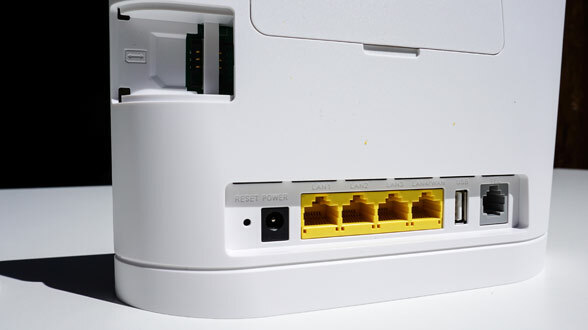 There are four RJ45 Gigabit Ethernet ports, one RJ11 phone connector, a USB 2.0 port and a reset button. Besides the reset button is the connector for the power supply and two SMA connectors for an external antenna can be found under a cover. 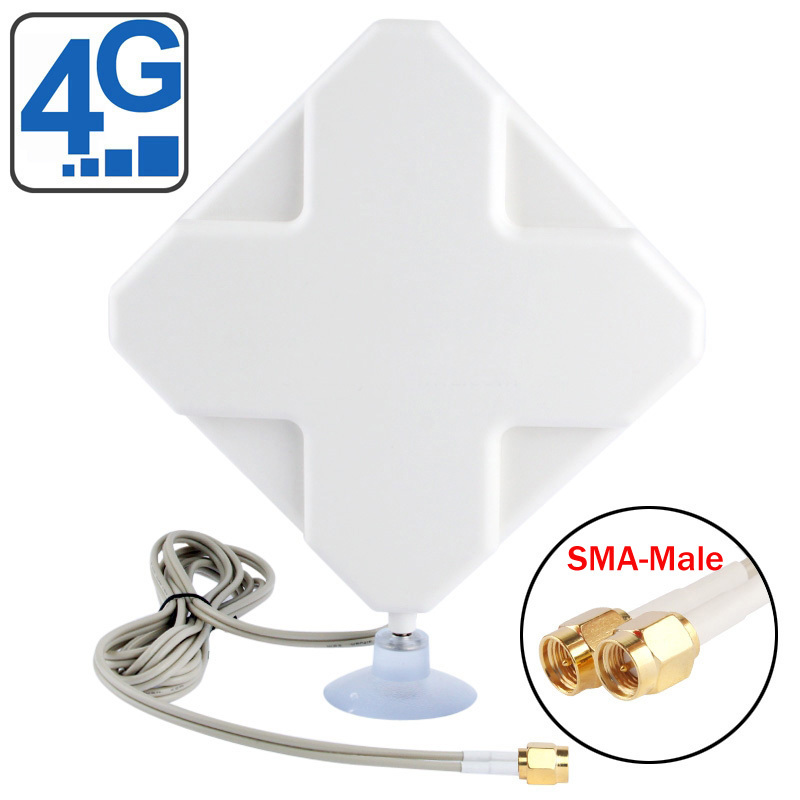 The SIM card is set on the side of B315 router, the shaft itself is protected by a cover and is very easily accessible. The establishment and operation of the Huawei B315 proved very easy. 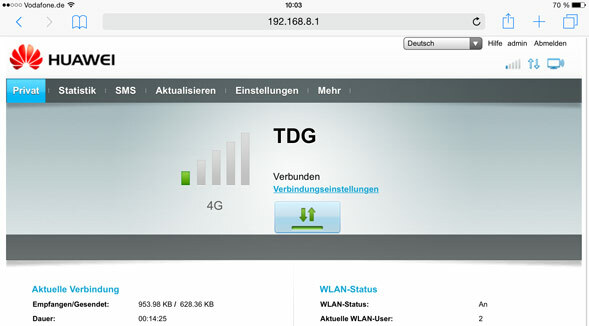 The router works with any SIM card and recognizes the provider automatically. Of course, you can access data later but also adjust manually. After inserting the SIM card, user must connect to the Huawei B315 either via a LAN cable or wirelessly via WLAN. The wireless network is encrypted, and the corresponding password and wireless network name can be found at the bottom of the router. Both the password and the wireless network name should be changed later to further increase security. If the SIM card has no PIN code, the router will be connected just in a few seconds after plugging the power adapter to the Internet. Otherwise, you must first through the web interface, which is called with the IP address 192.168.1.254, enter the PIN code. All in all, the start made extremely simple and requires no extensive computer knowledge, so the Huawei B315 is recommended for beginners. 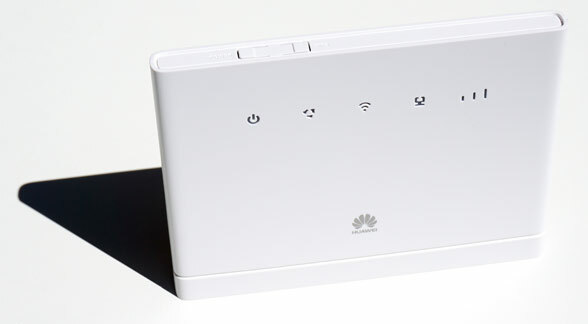 The Huawei B315 has an integrated cellular modem for 4G/LTE, 3G/UMTS and 2G/GSM, so for all major technologies in Europe. The supported frequency bands allow use with any providers in many other countries in Asia and Middle East. The Huawei B315 router not only supports the important frequency ranges around 800, 1800, and 2600 MHz, but also the 900 and 2100 MHz. The maximum speed could reach up to 150 Mbit/s downstream and 50 Mbit/s upstream ( LTE category 4 ) on LTE network. If only the UMTS network is available or no LTE network available, up to 42.2 Mbit/s downstream and 5.76 Mbit/s upload speeds are possible in the UMTS network with the data accelerator DC-HSPA+ used. As mentioned above, the Huawei B315 also permits connection of an external antenna. In the test with a LTE MIMO antenna, the speed and the stability of the compound could be increased significantly with the internal antenna. 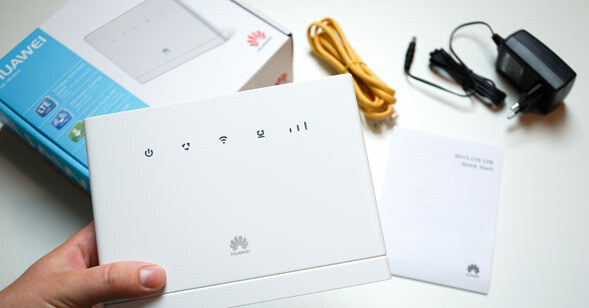 Besides a fast Internet connection, the Huawei B315 LTE router also offers comprehensive functions for home networking. Thus, up to four devices to be connected via cable to the router. The maximum data transmission (speed) is then up to 1 gigabit, so around 1000 Mbit/s. About WLAN up to 32 devices are also possible at the same, but then the maximum data rate is 300 Mbit/s, well below the level via cable. The USB 2.0 port on the back is not intended for connecting a computer, but can be used for connecting storage devices such as an external hard drive or a USB memory stick. Important to know: The memory should be formatted to FAT32, which often spread external hard drives; NTFS format is not recognized by Huawei B315. In addition, the USB port is suitable for the integration of a printer in the network, this only needs to support the Samba protocol. An HD video on a USB stick connected to the Huawei B315 could be streamed easily to a TV, jerkiness or delays did not exist and the router performance was so good that several devices could be surfing the Internet simultaneously. The Huawei B315 can be used as needed for telephone. So you can plug in at the back only an analog telephone with RJ11 connector. The DECT function for connecting wireless phones has been waived by manufacturer Huawei, so that one is forced to use the RJ11 connector. Another drawback: The telephone is only over cellular and Voice over IP (VoIP) is not supported. Many data-rates offer no telephone function or only with very expensive minute rates, so that the phone function on Huawei B315 for most users is likely to be useless. Looking at the whole package, the Huawei B315 has a compelling features, easy setup and good performance. In the test, besides the classic functions, the Huawei B315 is well suited for families and households with multiple users. However, If you prefer to LTE router with the latest technology, you may check Huawei E5186 4G Router.